The picture might be dark, but hopefully it gives you an idea of the meal! Apologies for not writing for a month AGAIN, but I’m now properly a working man, and have still had plenty of revision to do as well. Since I took my first set of exams yesterday, and found out that I passed today (whoopee! ), I’ve now got a bit more time to write, and what better way to start than with gourmet comfort food? As a post-exam treat I went with my fellow students to Bill’s, a restaurant in Reading. I’ve walked past it a hundred times and never been in before! It’s a really weird mix of surf shack and regency town house- bizarrely it works! 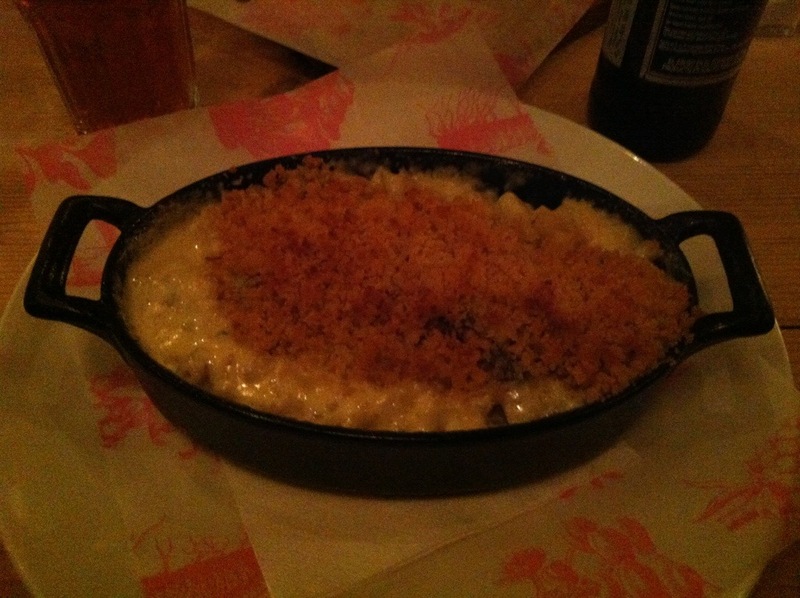 I had the macaroni cheese, which they make with added wild mushrooms and leeks, topped with a spicy crumb crust. It was uh-may-zing! Such a good choice. My friends went for a big mixture, and out if the 11 of us I don’t think two had the same! 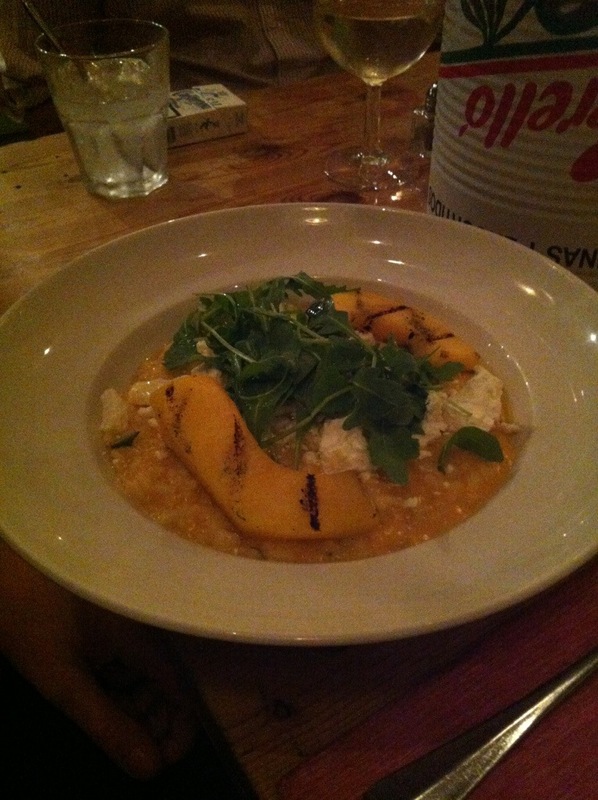 Below is the pumpkin and goats cheese risotto, which is next on my list of things to try- I will definitely be going back! According to my friends a special commendation must also go to the fish finger sandwich, the Moules Frites, and the halloumi and hummous burger.